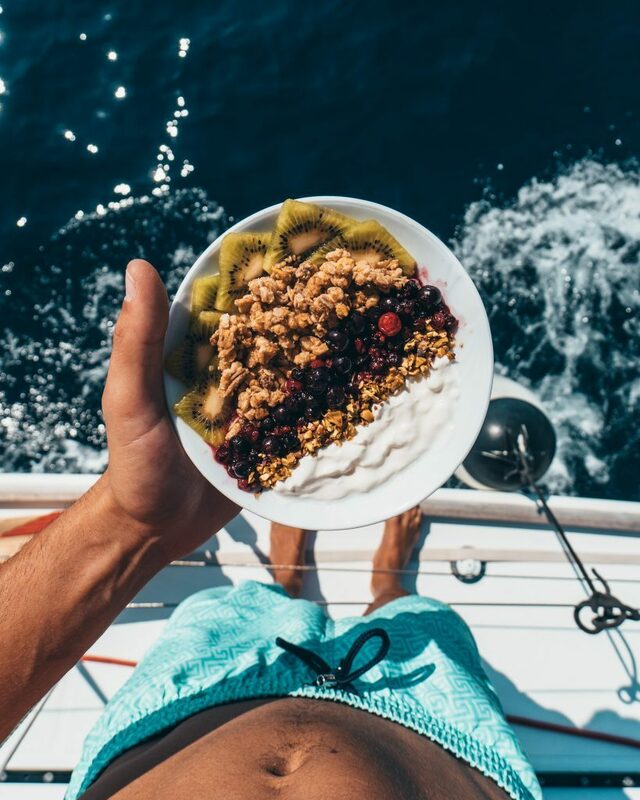 Fact: food tastes better at sea. 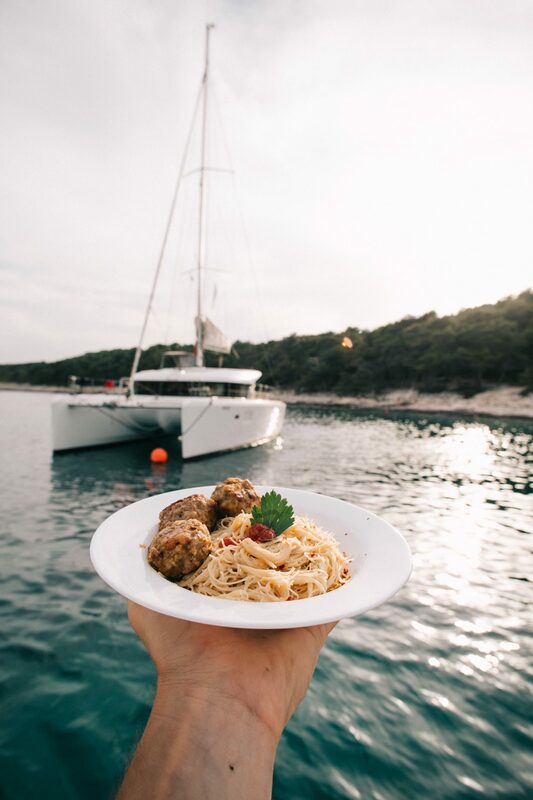 With the fresh ocean smell in the air, salt-spray hitting your skin as you sail and the sun dipping or rising on the horizon… come morning or night, there really isn't a better place than on a boat to enjoy a little fine wining and dining. 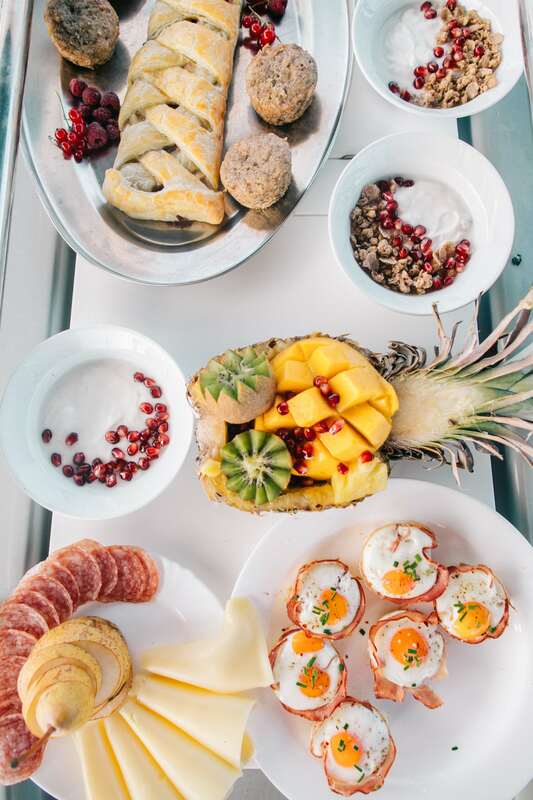 There’s nothing quite as satisfying as eating on board, but nothing quite as tricky as preparing a delicious feast in a confined space with limited tools, ingredients and often rocky waves and a helluva lot of heat down in the galley to deal with. Luckily, our marvelously talented Hosts have perfected an array of recipes and delica-seas. They've refined their flavours and, in turn, become real-life saviors. Prepare your taste buds. You're in for a real treat. Find out what else these heroes can do.